A Hamas website article attempts to predict the future of the Palestinian Arabs after Abbas and warns of the growing possibility of the Emirate Plan coming to pass. What will happen once he is gone? Will the leader who follows him manage to unite Hamas and the PLO? What will be his relationship to Israel? Will security coordination between Israel and the PA continue? And in general – what will happen to the PA? Will it become a state? If so, what will Hamas' standing be? What will be the borders of that entity? What will happen to Jerusalem? To the "refugees"? There are many more questions, just as important as these – and no one has the answers to any of them. 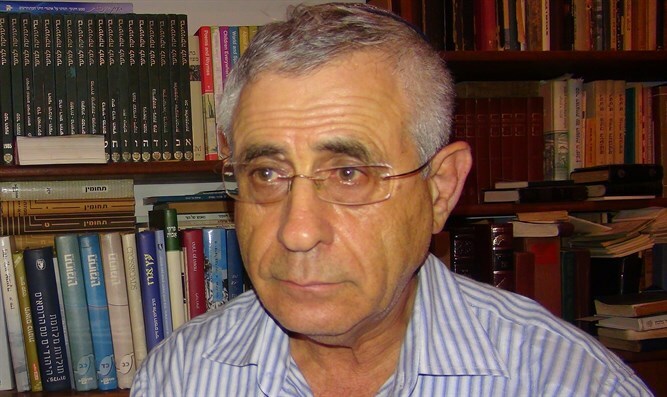 The Hamas website posted an article by one Khaider Almatzder recently, whose title was "After Abbas - Palestinian decentralization." The accepted Hebrew translation of the word decentralization is "bizur" a word signaling the granting of power and autonomy to the various branches of government, so that each branch is administrated almost entirely independently of the central government. For example, in the USA, each state possesses a large degree of autonomy and can decide on taxation, transportation, planning, education and more, while security and foreign affairs are the purview of the Federal government in Washington. In the article, translated here from Arabic to English, the writer describes a post-Abbas decentralized Palestinian Arab reality. My comments, as usual, are in parentheses. Khaider Almatzder: Post-Abbas Palestinian decentralization. What will happen after Abbas goes? Everyone is trying to guess the answer to that question and attempting to connect that that answer to certain names and people without taking into account the geographic situation currently coalescing and the nature of the renewing regional interests and affiliations which are much closer to Israel's viewpoint than that of the Palestinian Arabs. (i.e.The Middle East works in accordance with Israel's interests, M.K.). In order to understand the import of what is going on, we have to view things from Israel's standpoint, especially since Israel has created a situation that is hard to ignore or replace with other scenarios. Let's begin with Abbas himself: He is the last historic leader and the only thread – whether we like it or not – tying the (Palestinian Arab) character which struggles as it did in the past with present political reality (which has given up the struggle). When Abbas disappears so will this historic tie to the past and the Palestinians will engage in a struggle over inheriting his position. None of the contenders, however, is identified with the struggle in a way that makes him fitting to represent the different facets of Palestinian existence (and be accepted by all the factions, as Arafat was). That is why we are going to see a legitimacy crisis whose results are not as simple as we tend to think, especially since Israel is trying with all its might to found a Palestinian entity that has no national status capable of recognition as a state, like that of the PLO and the PA. This is basically a civil administration, the lack of which would lead to total anarchy. Israel's objective is to find a type of rule that grants the Palestinian resident margins of self rule wide enough for him to run his daily life without being able to attain a legal and political level that allows him to demand his rights. This will be a rerun of the Arab guardianship scenario (that existed in the area until 1967, with Jordan ruling Judea and Samaria while Egypt ruled Gaza) with all the painful memories it evokes. But is it realistic to bring up the idea of a guardianship-type scenario when Israel controls the policies of the guardian? Or when Israel intends to be the guardian of part of our country? The obvious answer is yes, because anyone examining the way Israel administrates the region, turning the West Bank into small separate entities, cannot help realizing the Israeli plan to ensure fragmentation and division, using the word "Emirate" for each section – most especially if said "Emir" answers to Israeli plans to decentralize Palestinian control. Israel will try to divide the inheritance among several heirs, without any one of them able to concentrate the rule (over the entire area) in his hands. The "Emir" will be able to consolidate his control in the section he governs if he proves his acquiescence to Israeli policy. The West Bank is fated to remain under Israeli control after Israel annexes whatever areas it chooses and leaves the remaining fragments to those whose administrative goals are agreed upon in ways that mesh with Israel's security concerns and ignore any ideas that could lead to freedom. In Gaza, too, the same scenario seems close to describing reality, because the split (between the PLO and Hamas, between Judea/Samaria and Gaza) is a reality, and the need for a guardian is greater than in the other territories of strategic importance to Israel. Because Gaza is closer to establishing a central governing entity, the way it will be treated is different in that Egypt will be part of Gaza's future and any agreement will see the "struggle" as surrealistic and of no value. What is strange is that Israel cannot control everything that goes on in Gaza, but the strategic placement of Gaza forces Israel to relinquish its rights. In addition, the efforts to find a Palestinian Arab figure on whose rule everyone agrees (instead of Abbas) will not succeed, not because of Israel but for the most part – unfortunately – because of the Palestinian Arabs themselves. The entire political system and Palestinian legitimacy are endangered, and we must keep close track of the scenarios envisaged by those who wish to harm us. We must begin practical steps to repair the internal Palestinian rifts and choose a leader on whom we all agree. We have to put aside our differences so as to be able to dispel the new Zionist dreams (of those who support Israel from within and without) to the four corners of the earth. That is the content of the article written by Elmatzder as posted on the Hamas website. The writer sees the situation realistically, and is well aware of the leadership crisis afflicting the Palestinian Authority. He is also well aware of the dismal situation of the Palestinian Arabs in the eyes of their Arab "brothers," but what is interesting is that he used the term "emir" to express his opposition to Israeli intentions to divide Judea and Samaria into separate administratively autonomous entities – almost as if it were me calling them "Emirates" as I have outlined in my well known peace proposal. There is an important principle that must be recognized by anyone interested in the Middle East: If Hamas is opposed to something, it is clear proof that the idea is positive, workable and desirable, especially for Israel. 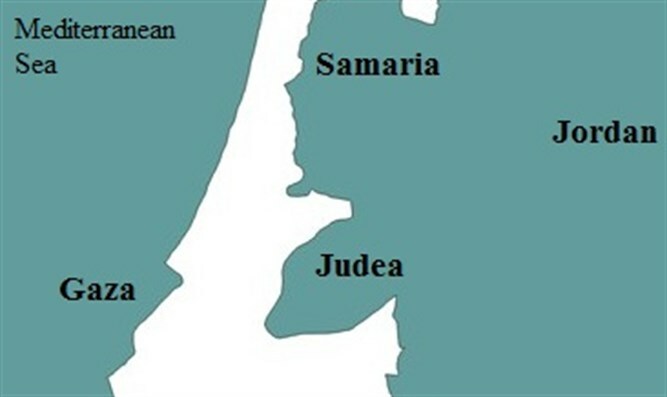 That is why, since the writer is opposed to decentralizing Palestinian rule, it is clear that this decentralization is good for Israeli interests – therefore, Israel must advance the idea of decentralization, dissolving the PA into emirates, each of which is based on loyalty to local heads of clans (hamulot) in each of the main cities in Judea and Samaria, and not based on the ideology of the struggles waged by the PLO or Hamas. Hamas fears the "Emirate Plan" more than anything else, because wherever the clans are in control, they make short shrift of Jihadists. They do not allow any threats to the economic, political and social stability encouraged by their rule. Since Hamas fears the rule of local clans, Israel must use all the considerable means at its disposal to advance that rule, particularly now, while legitimate, centralized Palestinian leadership is nowhere to be seen. Written for Arutz Sheva, translated by Rochel Sylvetsky.